If you sell cut flowers, an attractive merchandiser will definitely boost sales, but it must be the right kind of merchandiser. Even though floral and beverage merchandisers may look the same on the outside, they actually differ in four very important ways. Humidity: The humidity requirements for flowers and food are vastly different. Cut flowers last longest in a moist environment, where the ambient humidity is above 90 percent. 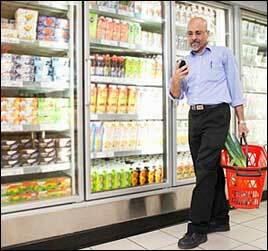 Packaged foods and beverages store best when the humidity is less than 10 percent. Keeping flowers in a beverage cooler will cause them to dry out, turn brown, and wilt. Conversely, trying to store food and beverage products in a flower cooler can easily turn cardboard packaging into a soggy, tear-prone mess. Airflow: Food and beverage merchandisers are designed to reduce the interior temperature as quickly as possible and keep it as cold as possible without freezing. To do this, they use heavy-duty recirculation fans that rapidly blow cold air into the interior. Rapid airflow reduces humidity and helps compensate for constant opening and closing of the doors during operation. In contrast, cut flowers are very susceptible to wind burn and, as every florist knows, one of the quickest ways to ruin a flower bouquet is to place it directly in the path of an air conditioner or heater. Rather than blasting frigid air into the interior, floral merchandisers use baffled air vents to gently bathe flowers in a cool, consistent, and humid environment. Temperature: Even with proper humidity, frequent or rapid fluctuations in temperature will cause cut flowers to wilt. Floral merchandisers are designed to maintain a precise and consistent temperature of 35°F. 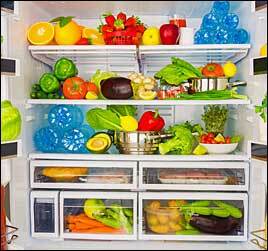 Packaged foods and beverages have a much higher tolerance for temperature variations. As long as the temperature in a cold food merchandiser stays above 33°F and below 40°F, a degree or two of variation will have little effect on the product. Floral merchandisers control temperature much more accurately. Lighting: Although almost all modern merchandisers use LED bulbs for lighting, floral merchandisers use specially shielded bulbs that reduce UV emissions. This makes floral arrangements look more vibrant and helps prevent the discoloration that can occur with harsher, unshielded lighting. The Seattle Restaurant Store carries a variety of floral merchandisers from True Manufacturing, a leader in commercial refrigeration technology since 1945. Units vary from 27 to 78 inches in width and are available in black or white (the G4SM-23FC-LD unit also comes in bronze). All front-facing units offer an optional mirrored back panel. 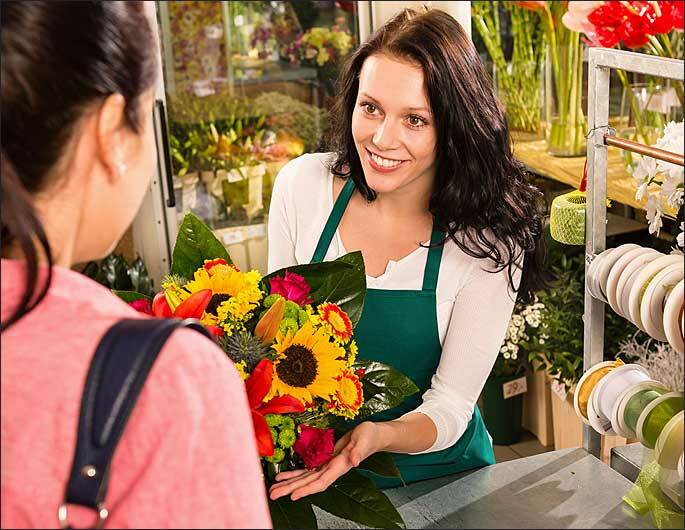 Whether flowers are the mainstay of your business or just a sideline, you’re sure to find the right merchandiser in our Quick Pick Guide below. For tips on maintaining a floral cooler and extending the shelf life of cut flowers, check out this article from Flowers& Magazine. Don’t see what you want? Need it now? Call us at 800.343.6890 or email sales@srscooks.com. FLORAL MERCHANDISER QUICK PICK GUIDE What is TruPricing? For more than 70 years, True Manufacturing has been at the forefront of commercial refrigeration, and their products are known for their outstanding longevity, dependability, and value. In the early 1990s, True implemented a lean manufacturing model to reduce its carbon footprint and minimize the environmental impact of its products. All True floral merchandisers use environmentally friendly R290 hydro carbon refrigerant that has zero ozone-depletion potential. In addition, the cabinet structures are foamed-in-place with a high density, polyurethane insulation that has zero ozone-depletion potential and zero global-warming potential. We strive for accuracy but are not responsible for typographical errors in pricing or specifications. We reserve the right to make corrections. If you see an error, please let us know at marketing@srscooks.com so we can correct it. Copyright ©2019 The Seattle Restaurant Store. All rights reserved.